ISO9001, BAFE & SSAIB Certified. First City’s breadth of systems and expertise means that our engineers are capable of responding to all main stream systems on the current market, regardless of make or manufacturer, so even if you have several different equipment suppliers, you only need one service provider – First City. All First City engineers are highly qualified to industry standards and above, and their training is regularly refreshed to keep them abreast of developments and changing technologies. All servicing work is carried out by following stringent quality control procedures and to the appropriate British Standards and ISO9001, BAFE & SSAIB. Why First Choose First City? 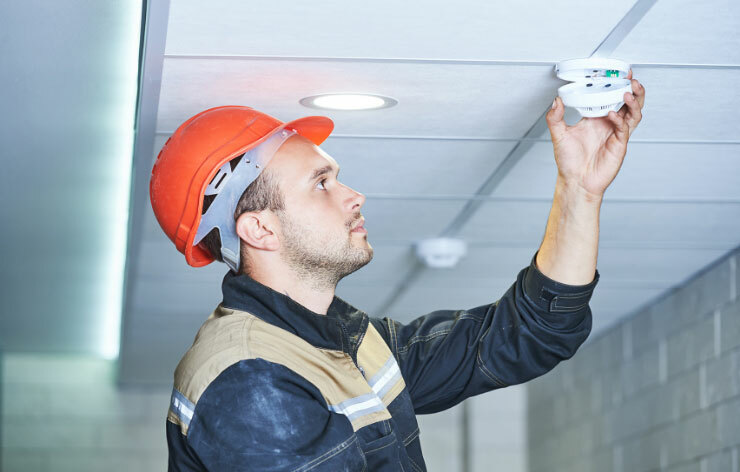 First City’ service and maintenance contracts are a cost effective way of managing your Fire and security systems , whilst giving you peace of mind that your equipment will work when it is needed most – in the event of an emergency and more critical meets all current UK and European legislation to help prevent an emergency . All servicing work is carried out by following stringent quality control procedures and to the appropriate British Standards and ISO9001, BAFE & SSAIB. When things go wrong our contracted customers always have help at hand with our rapid response team available 24/7 365 days a year.